NU's Center on Wrongful Convictions is petitioning to free Daniel Taylor, who was convicted of double homicide in 1992. Police records and new documents show Taylor was in police custody during the crime. Northwestern’s Center on Wrongful Convictions is seeking to free a man who has been in prison for the last two decades for double murder, arguing he could not have committed the crime because he was in police custody at the time it occurred. 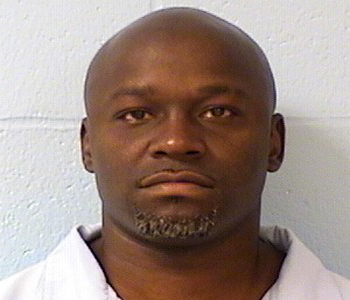 According to a University news release, the center filed a petition last Thursday requesting a new trial for Daniel Taylor, who was convicted in November 1992 for killing Jeffrey Lassiter and Sharon Haugabook of Chicago’s Uptown neighborhood. Daniel, who was 17 at the time, confessed to the crime but later unsuccessfully appealed his 1995 conviction. The center’s petition was filed in reaction to the discovery last year of notes from a Cook County State Attorney file confirming Taylor was in police custody during the murders. Karen Daniel, senior staff attorney at the Center on Wrongful Convictions, said police records also show Taylor was in police lockup at 8:45 p.m. on Nov. 16, 1992, for disorderly conduct, more than two hours before Lassiter and Haugabook were killed, and he was not released until 10 p.m., more than an hour after the murders. A prosecution witness also recanted testimony stating he saw Taylor near the crime scene shortly before the murders. “This is a quintessential false confession case,” said Rob Warden, director of the Center on Wrongful Convictions, in the news release. In addition to his appeal, Taylor filed a post-conviction relief petition in 2004 maintaining his innocence and claiming prosecutors had denied him due process of law because the evidence was not released to the defense before his trial. Taylor’s case is the most recent in a series of high-profile cases the center has worked on. Warden said in the release there have been 77 documented wrongful convictions in Cook County since Taylor’s conviction, 31 of which involved false confessions.